Found one file extension association related to Foto-Mosaik-Edda and 1 file format developed specifically for use with Foto-Mosaik-Edda. To create a photo mosaic picture, you can use digital photos from your collection, for example from your last vacation or family get-together. 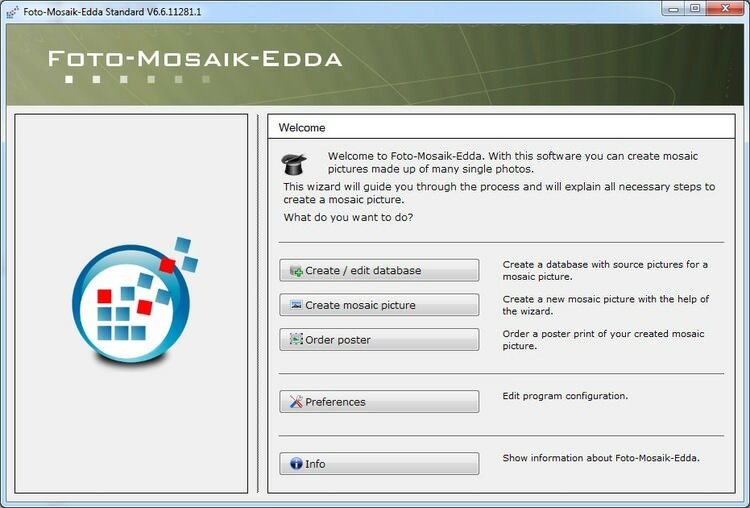 Foto-Mosaik-Edda analyses the photos and then adds them to one or more databases from which they are drawn to create your photo mosaic. The Foto-Mosaik-Edda assistant guides you through the process, making the creation of your photo mosaic picture child’s play. Your friends will be astounded by this extraordinary effect. If you need more information please contact the developers of Foto-Mosaik-Edda (Steffen Schirmer), or check out their product website.